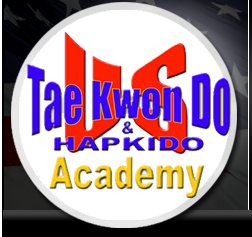 A loose translation of Tae Kwon Do is "the way of kicking and punching". 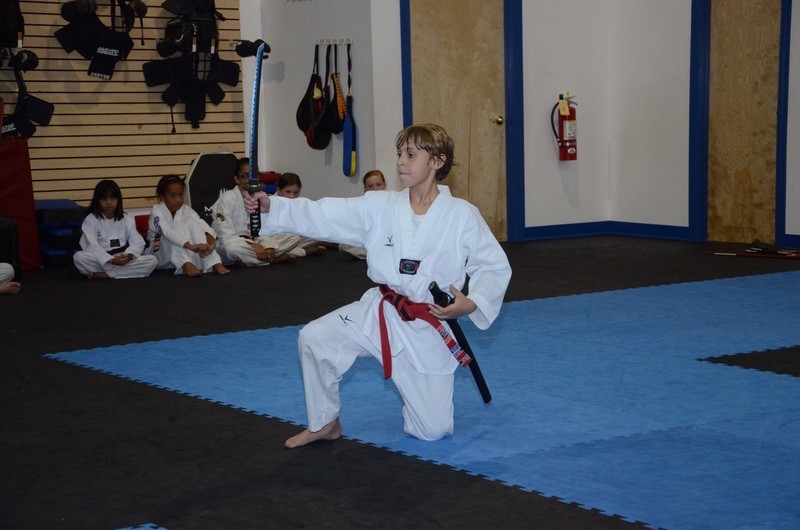 It combines speed, flexibility and power to enhance the student's fitness level and ability to defend himself. 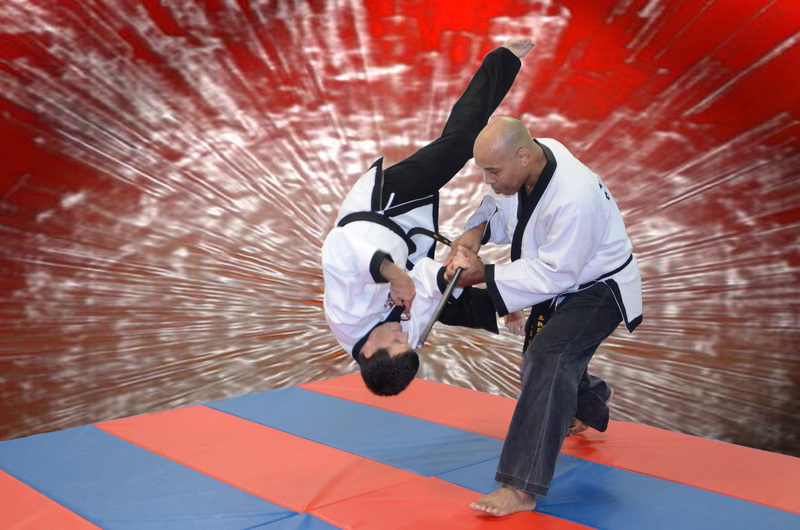 HAPKIDO is an Korean Martial Art of Self-Defense and it is a discipline of coordination, a way of strengthening the mind and body, of fusing the individuals physical and mental powers so that he or she will emerge as a more fully integrated human being. The word in fact means: "HAP" Harmony or Coordination, "KI" Inner Energy or Mental strength, "DO" The Way or Method. (The Way Of Strength And Harmony Or The Way Of Coordinated Power). 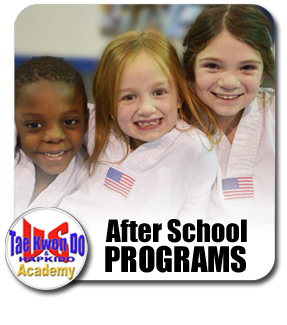 At U.S. Tae Kwon Do Academy, Tae Kwon Do is intermingled with Hapkido to give the student optimum level of martial arts knowledge, training and ability. 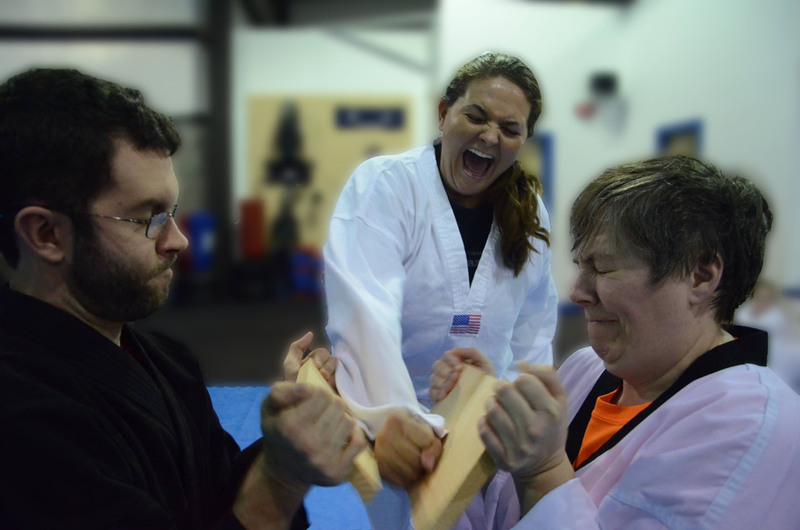 Master Instructor John Oakley and Master Instructor Tammy Sands encourages each of their students to progress at his/her own pace while still motivating them to strive beyond their perceived limitations to reach heights never before believed possible. This lesson is useful not only in martial arts training, but also in everyday life. 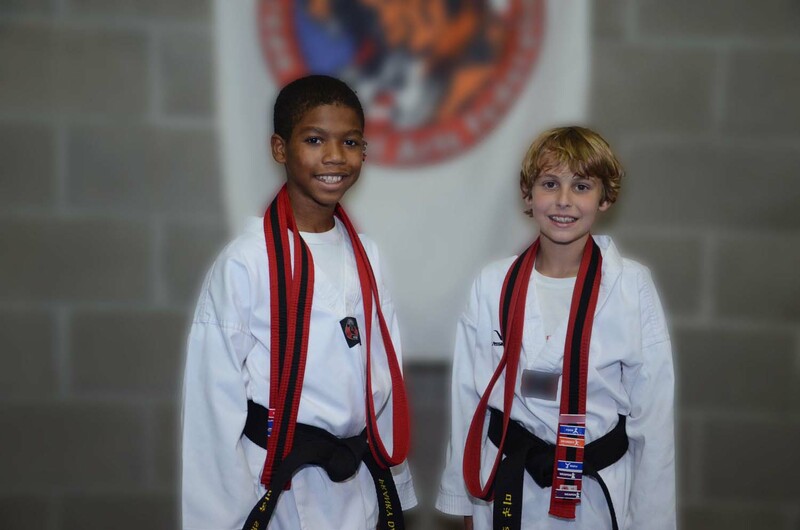 The positive learning environment at U.S. Tae Kwon Do Academy combined with the Master Instructor's innate ability to bring out the best in each of their students, reaching each student on an individual basis, make Tae Kwon Do truly a martial art for everyone. The tenets of Tae Kwon Do: Courtesy, Integrity, Perseverance, Self-Control and Indomitable Spirit are characteristics of the martial arts. Students are encouraged not only to memorize these five tenets, but also to incorporate them into their lives.